NEW CONTENT AND NEW PRICE ! Dogstar is an action packed Retro-Arcade gravity/vertical shoot and rescue mission with loads of Mass Destruction! Play 1P Campaign, 2P Co-Op Campaign, or 2P Trophy Deathmatch in time-limited levels, battle scaling/evolving AI difficulty, Multiple skill and mission levels, Secure online high scores, and more. The Aim in Dogstar is simple. Stay alive, kill the enemy ships to release your comrades, rescue your comrades, and escape the level before time runs out. There are many ways to gain 1-UPs, bonuses, chain kills, insta-craft new powerups, and heaps more. The main powerup in Dogstar is a smart weapon, that multiplies the rewards depending on the target destroyed. Try to line up enemies and take out lines of them with a single powered up shot for huge bonuses. Two of the particularly relentless enemies: Otto, and The Miner, can only be destroyed while powered up, but then they are also turned into huge mass destruction weapons. The most important thing when learning to play Dogstar is to get the hang of flying your ship around, and controlling the inertia/gravity. The 2nd most important thing is attack, attack, attack! 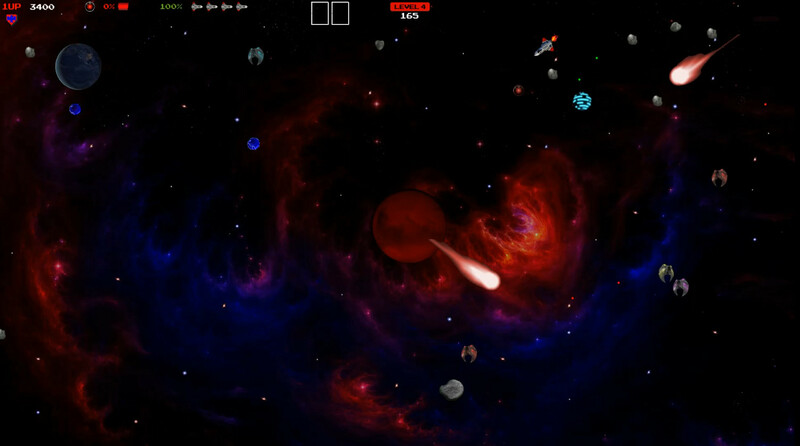 Dogstar rewards aggressive play, if you sit still in Dogstar too long, you will lose lives quickly. To win a level: Rescue 15x Comrades in a level to open the Stargate. Fly straight into the Stargate to end the level, or you can fly around being a badass and racking up points and powering up pulling off huge kills and classy combos and exit when you choose. But you must complete the objective within the timer and escape. 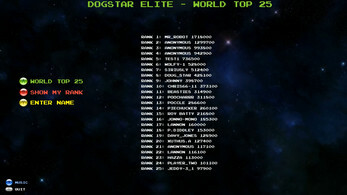 Compete against Dogstar players from the world over and post your best scores - the way Arcade competition should be! 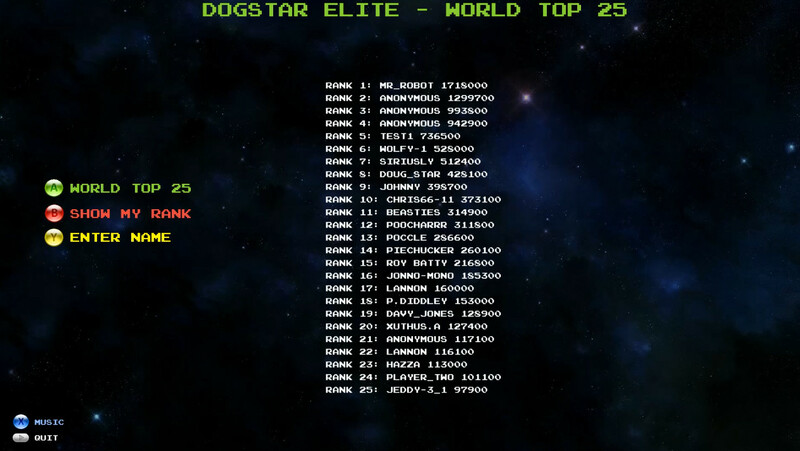 To discourage scamming the high score tables, Dogstar uses a secure OAuth2 back end powered by Globalstats.io, to ensure the only scores you should see online are legitimately earned. 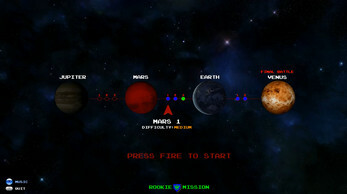 Venus level: The final showdown - A unique vertical level where you Battle masses of Alien Hordes, 2x Boss Battles, Comet storms, and try to Destroy Venus, all before time runs out. 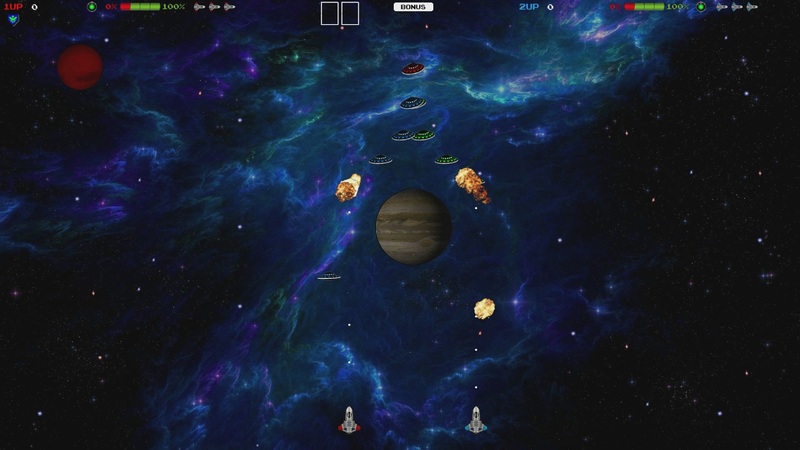 If you are good enough to defeat the final level Venus, you are jumped back to the starting level Jupiter at Veteran settings, all enemy AI is ramped up, and things will be much tougher. How long can you last, and how high will you get on the world leaderboards? Venus level: The final showdown - take on all enemy types at once, and try to destroy the Enemy Home Base of Venus before time runs out! On the map screen in 2P Co-Op, either player can donate any amount of their lives to the other player. This way, you can keep the other player in the game longer, or bring a dead player back into the game. 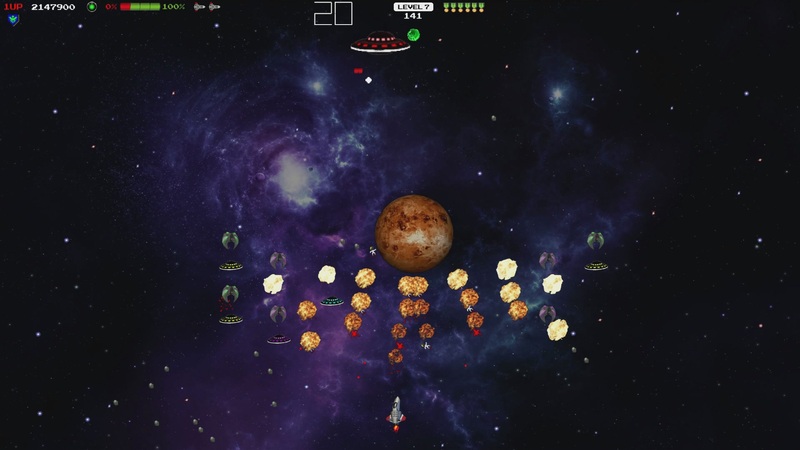 If you are good enough to defeat the final level Venus, you are jumped back to the starting level Jupiter at Veteran settings, all enemy AI is ramped up, and things will be much tougher. 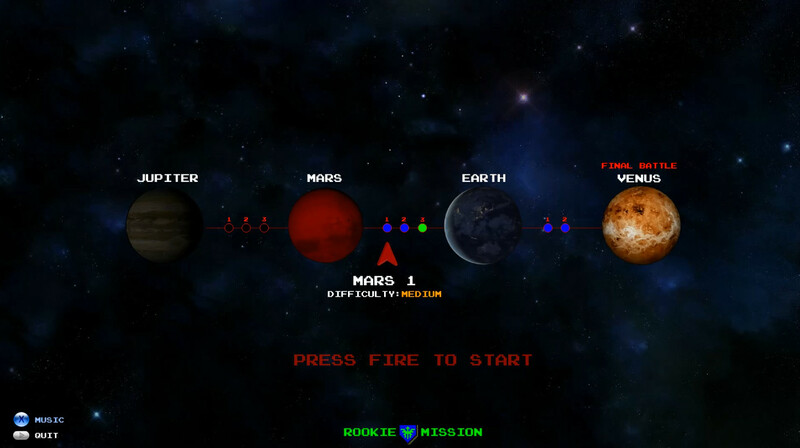 In Deathmatch, choose the level you want to play from any of the planets, and the game is a head to head battle where you can win by either: 1/ Destroying your opponent the most amount of times within the time limit, or 2/ Rescue 15 Comrades and escape before your opponent.